One of the technology areas I thoroughly enjoy is the Internet of Things (IoT). Even as a child I used to infuriate my parents by taking apart the toys they would purchase for me to see how they worked and if I could somehow put them back together. It seems somehow I was destined to end up the tough and ever-changing world of technology. Therefore, it’s no wonder that I am really enjoying learning and tinkering with IoT devices and technologies. It combines my love of development and software engineering with my curiosity around circuits, controllers, and other facets of the electrical engineering discipline; even though an electrical engineer I can not claim to be. Despite all of the information that is collected by the deployment of IoT devices and solutions, I honestly never really thought about the need to analyze, search, and process this data until I came up against a scenario where it became of the utmost importance to be able to search and query through loads of sensory data for an anomaly occurrence. Of course, I understood the importance of analytics for businesses to make accurate decisions and predictions to drive the organization’s direction. But it didn’t occur to me initially, how important it was to make analytics an integral part of my IoT solutions. Well, I learned my lesson just in time because this re:Invent a service is launching to make it easier for anyone to process and analyze IoT messages and device data. Hello, AWS IoT Analytics! 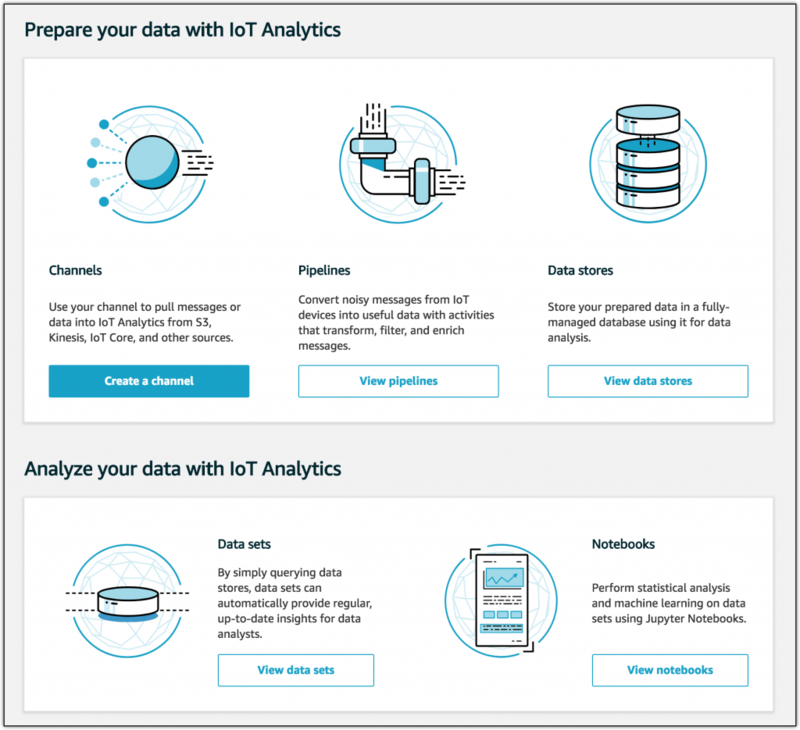 AWS IoT Analytics is a fully managed service of AWS IoT that provides advanced data analysis of data collected from your IoT devices. 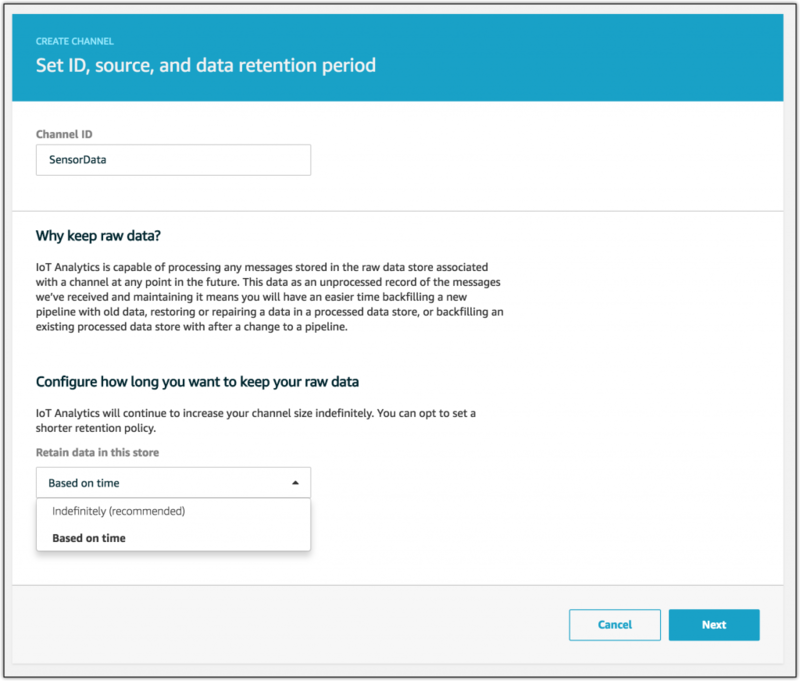 With the AWS IoT Analytics service, you can process messages, gather and store large amounts of device data, as well as, query your data. Also, the new AWS IoT Analytics service feature integrates with Amazon Quicksight for visualization of your data and brings the power of machine learning through integration with Jupyter Notebooks. 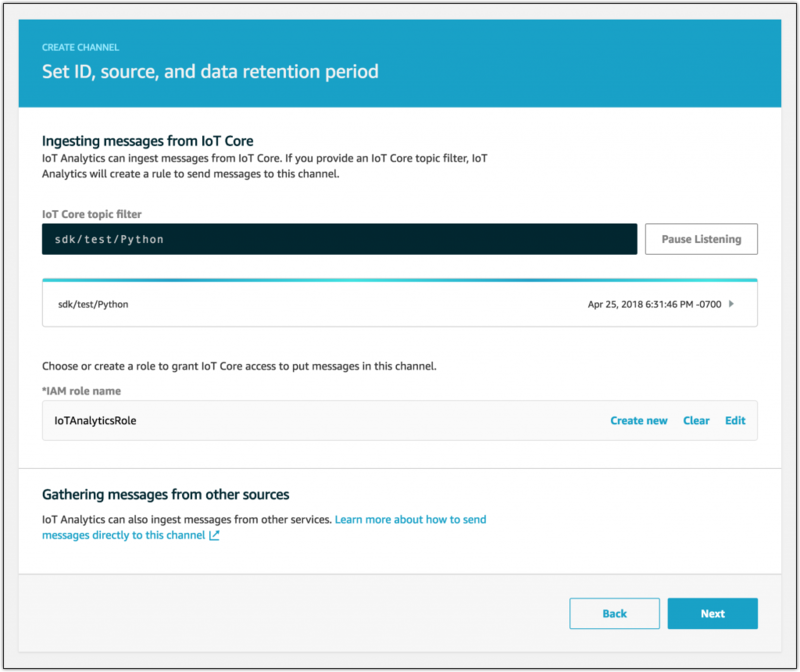 Channel: archives the raw, unprocessed messages and collects data from MQTT topics. 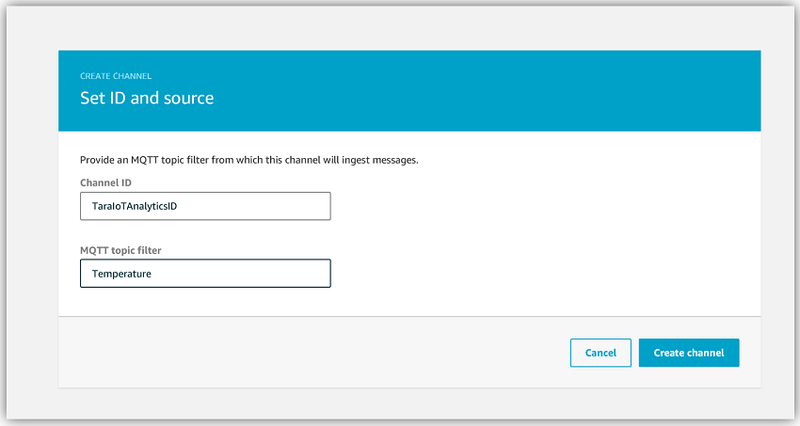 Pipeline: consumes messages from channels and allows message processing. 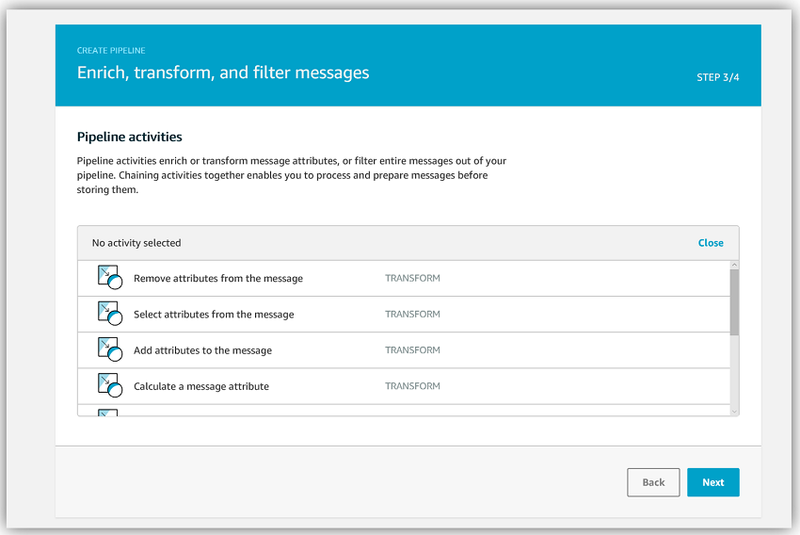 Activities: perform transformations on your messages including filtering attributes and invoking lambda functions advanced processing. Data Store: Used as a queryable repository for processed messages. 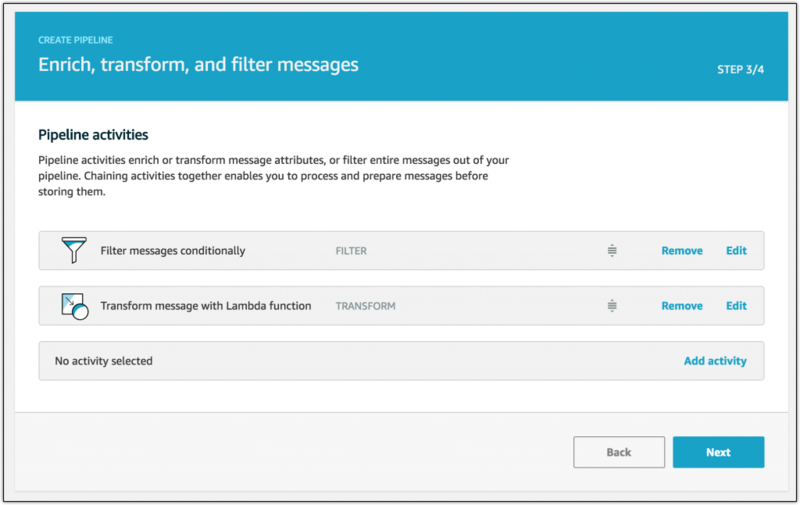 Provide ability to have multiple datastores for messages coming from different devices or locations or filtered by message attributes. Data Set: Data retrieval view from a data store, can be generated by a recurring schedule. First, I’ll create a channel to receive incoming messages. 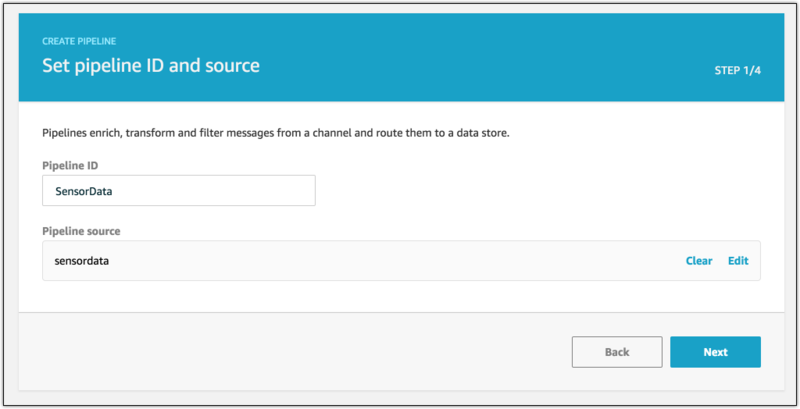 This channel can be used to ingest data sent to the channel via MQTT or messages directed from the Rules Engine. To create a channel, I’ll select the Channels menu option and then click the Create a channel button. I’ll name my channel, TaraIoTAnalyticsID and give the Channel a MQTT topic filter of Temperature. To complete the creation of my channel, I will click the Create Channel button. Now that I have my Channel created, I need to create a Data Store to receive and store the messages received on the Channel from my IoT device. Remember you can set up multiple Data Stores for more complex solution needs, but I’ll just create one Data Store for my example. I’ll select Data Stores from menu panel and click Create a data store. I’ll name my Data Store, TaraDataStoreID, and once I click the Create the data store button and I would have successfully set up a Data Store to house messages coming from my Channel. Now that I have my Channel and my Data Store, I will need to connect the two using a Pipeline. 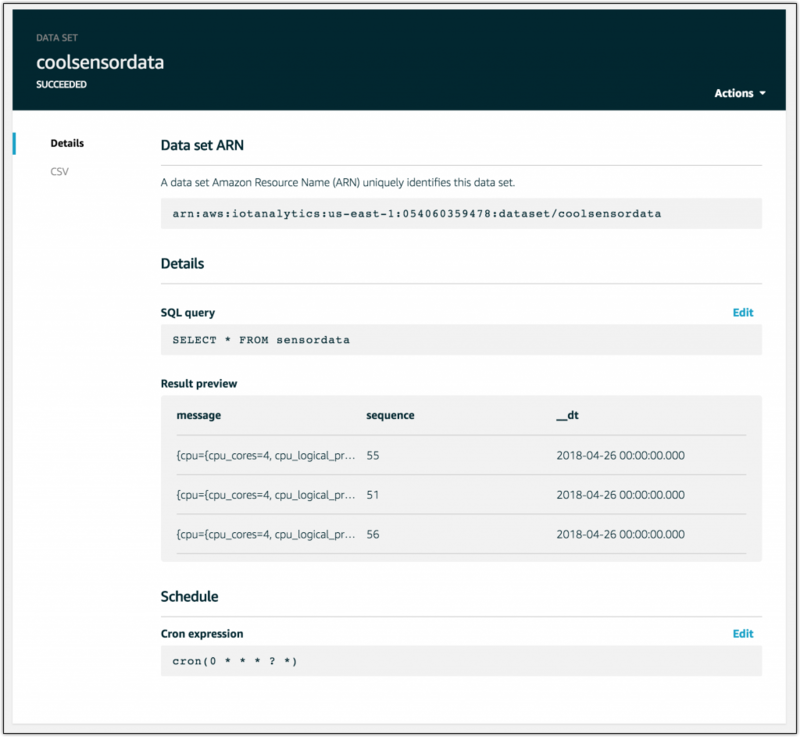 I’ll create a simple pipeline that just connects my Channel and Data Store, but you can create a more robust pipeline to process and filter messages by adding Pipeline activities like a Lambda activity. To create a pipeline, I’ll select the Pipelines menu option and then click the Create a pipeline button. I will not add an Attribute for this pipeline. So I will click Next button. 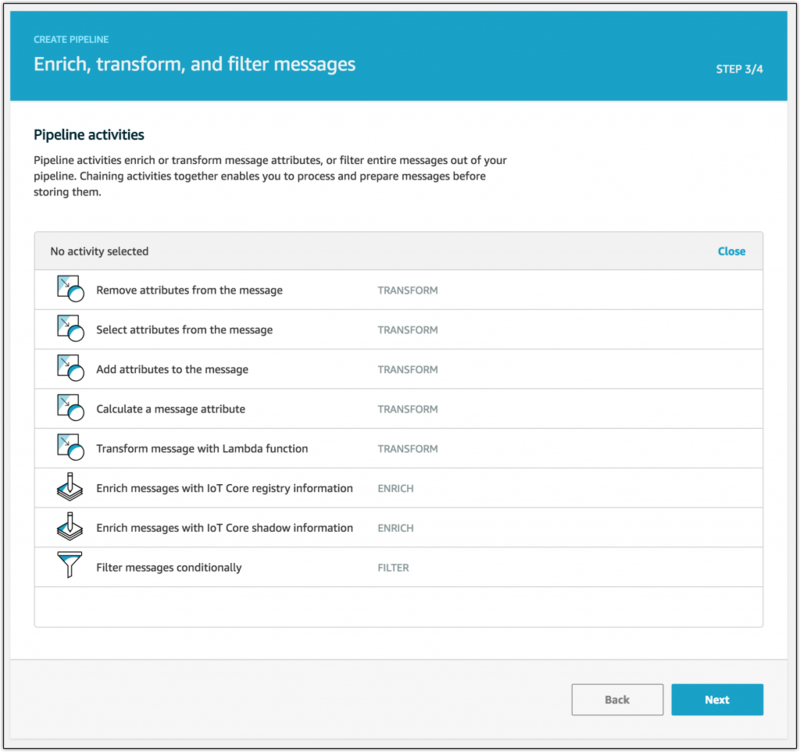 As we discussed there are additional pipeline activities that I can add to my pipeline for the processing and transformation of messages but I will keep my first pipeline simple and hit the Next button. 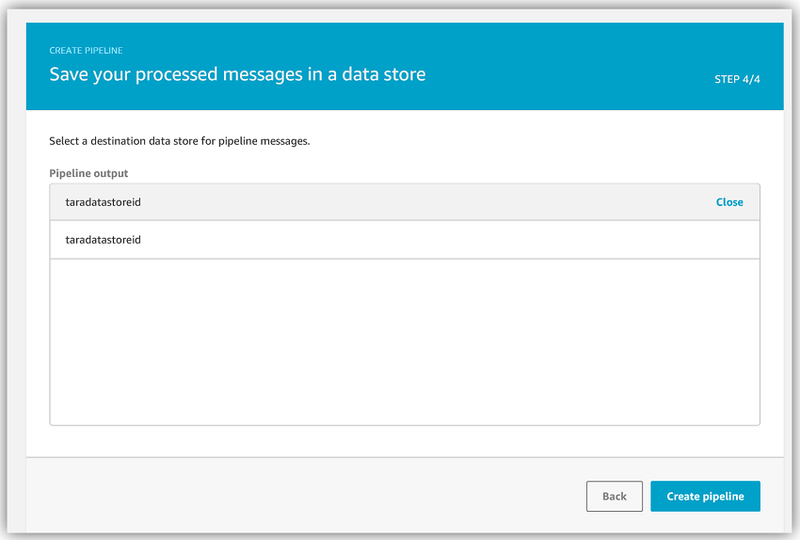 The final step in creating my pipeline is for me to select my previously created Data Store and click Create Pipeline. All that is left for me to take advantage of the AWS IoT Analytics service is to create an IoT rule that sends data to an AWS IoT Analytics channel. 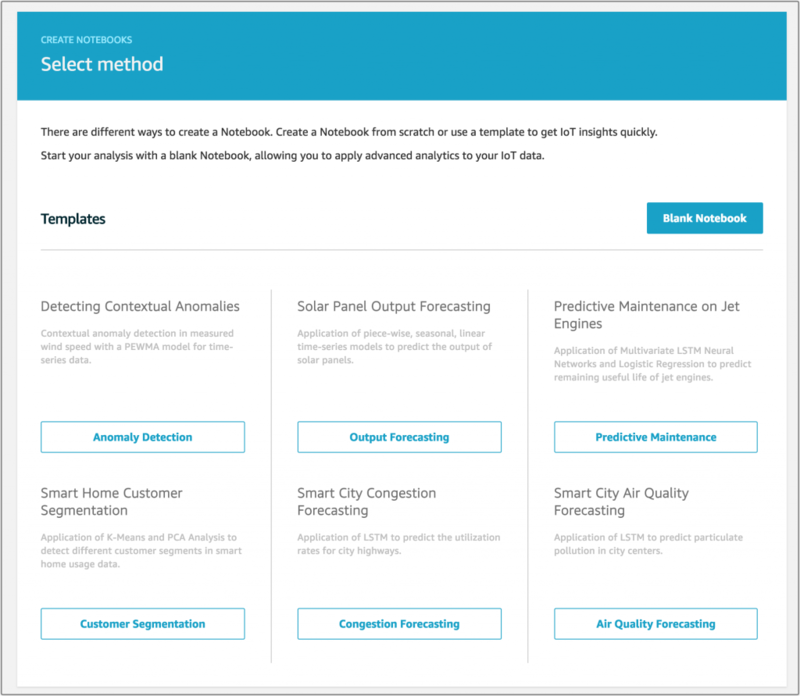 Wow, that was a super easy process to set up analytics for IoT devices. If I wanted to create a Data Set as a result of queries run against my data for visualization with Amazon Quicksight or integrate with Jupyter Notebooks to perform more advanced analytical functions, I can choose the Analyze menu option to bring up the screens to create data sets and access the Juypter Notebook instances. 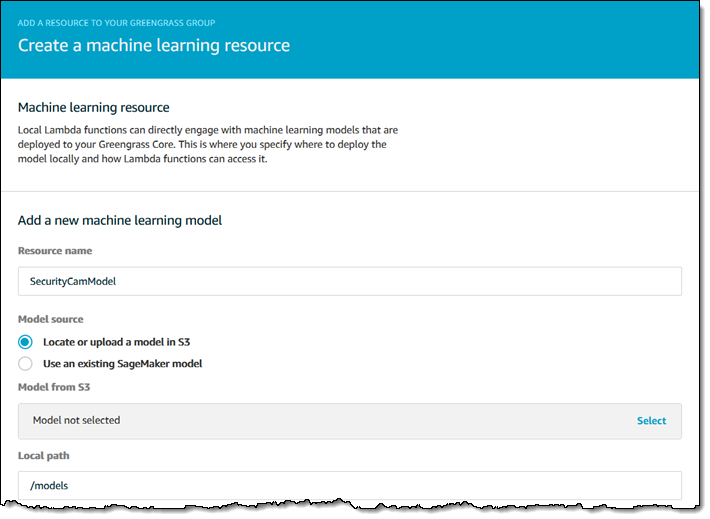 As you can see, it was a very simple process to set up the advanced data analysis for AWS IoT. 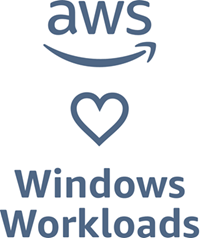 With AWS IoT Analytics, you have the ability to collect, visualize, process, query and store large amounts of data generated from your AWS IoT connected device. 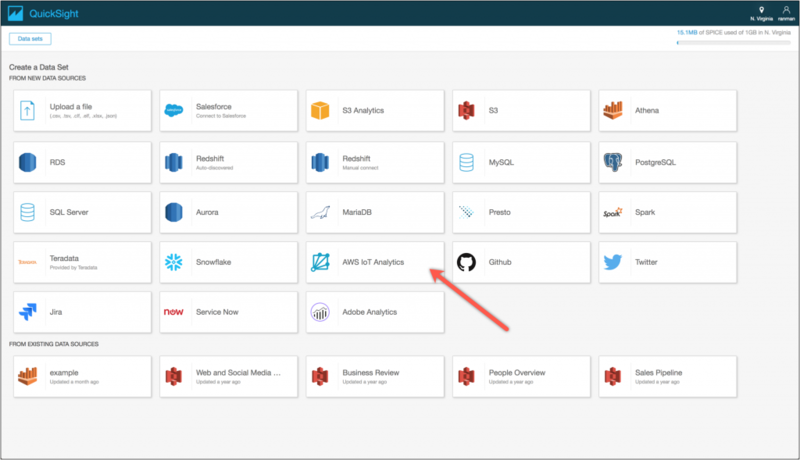 Additionally, you can access the AWS IoT Analytics service in a myriad of different ways; the AWS Command Line Interface (AWS CLI), the AWS IoT API, language-specific AWS SDKs, and AWS IoT Device SDKs. 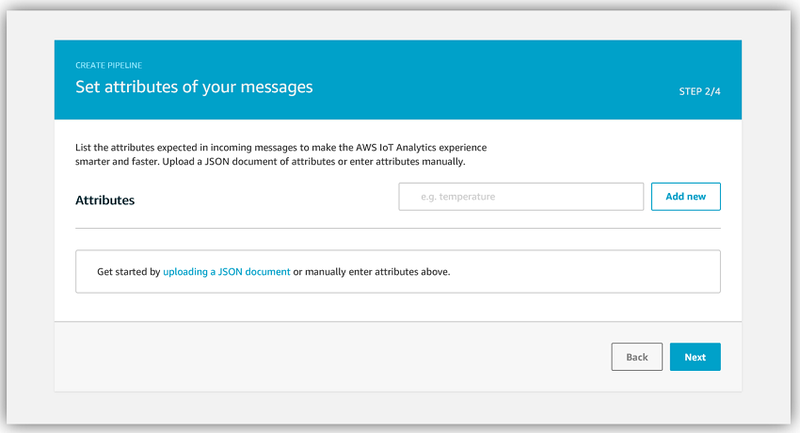 AWS IoT Analytics is available today for you to dig into the analysis of your IoT data. 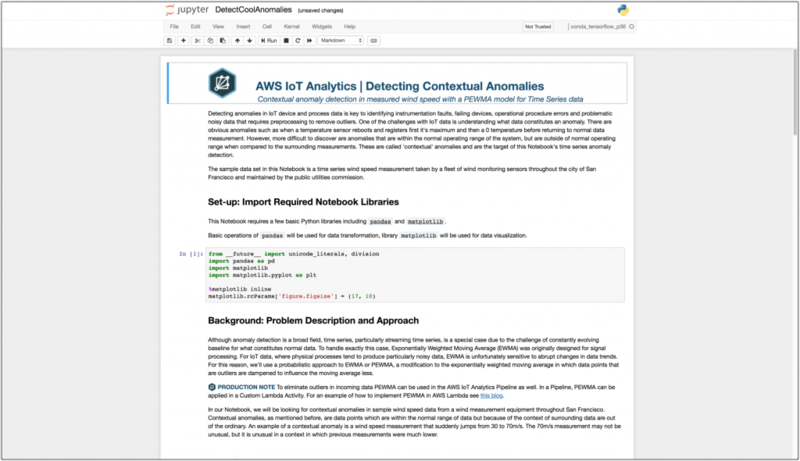 To learn more about AWS IoT and AWS IoT Analytics go to the AWS IoT Analytics product page and/or the AWS IoT documentation.